Touching football documentary Next Goal Wins is released on DVD today. To celebrate, we have three discs plus a signed poster to give away. In 2001, Australia beat American Samoa 31-0 in what remains the heaviest ever defeat for an international football side. Next Goal Wins follows the losing team a decade later as – still rooted to the bottom of the world rankings and widely described as the world’s worst football team – they attempt to qualify for the 2014 World Cup. Featuring a cast of genuinely lovable characters including Jaiyah Saelua – the first transgender player ever to appear in a World Cup qualifier – and irascible Dutch coach Thomas Rongen, plus a bucketload of tears and a bellyful of laughter, all set against the stunning backdrop of this tiny Pacific island (and touching on several hundred years of the island’s history), the film is a beautifully-shot tale of the triumph of hope over experience. Whether you’re a football fan or not, you’ll enjoy this heartfelt, joyful and incisive documentary. The DVD extras include a filmmakers commentary featuring directors Mike Brett and Steve Jamison and Producer Kristian Brodie, as well as deleted scenes including “Amerika Samoa” – Learn the national Anthem and Blunt’s Point – Thomas Rallies the Troops. Which team did Germany beat in Rio de Janeiro to win the 2014 World Cup? 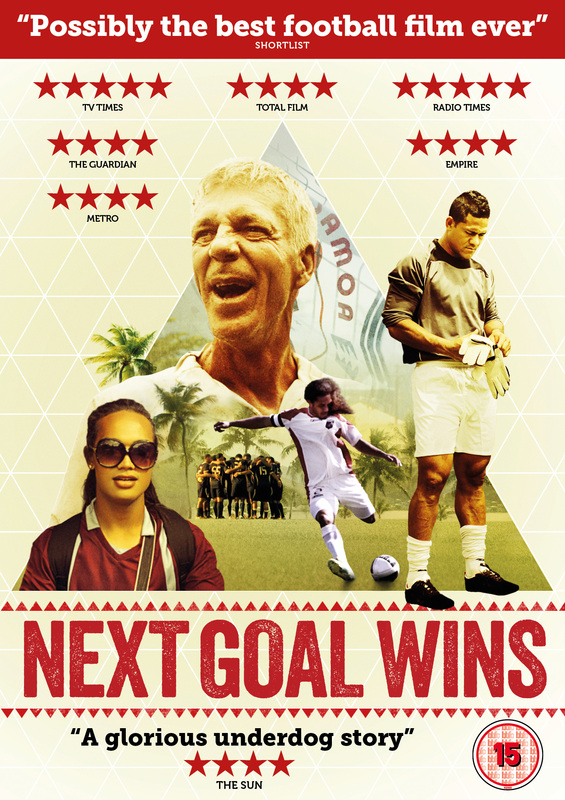 If you don’t win, don’t worry: Next Goal Wins is out on DVD today. Competition closes at 11:59pm on Monday September 1 2014.